If you talk to me this week, I apologize in advance for being a crab. I’ve got a bad attitude about this holiday. Well, really any holiday. I mask what I’m really upset about by telling people I’m crabby that for some reason the onus to make a holiday happen has fallen to me. Poor me, having to cook the Thanksgiving dinner! Good grief, what a martyr I am! Obviously, you all know it’s stupid to believe that I would be upset about the actual cooking part. I’m not, I swear I’m not. Thanksgiving is the perfect meal, and I love to cook meals, so what’s my problem? Eh, I just miss my mom. I miss being able to walk in the door of her house and smell all the holiday cooking and baking smells. Back then I was only in charge of dessert, and only then when I convinced my family that they’d love what I brought as much as pumpkin pie. My brother pouted, but they tried the Pumpkin Crunch Cake with homemade whipped cream… and a new Thanksgiving dessert tradition was born. By the way, whipped cream is ridiculously easy to make and you’ll never want the fake stuff again! Take 5 minutes to make it, you’ll never go back. Let’s see, it’s Monday now. Thanksgiving is a few days away. So clearly, I don’t have the dessert made already (although I am making it twice because the fire guys want this instead of pumpkin pie too. converts!). That’s why you’re stuck with these crap photos from 6 and 5 years ago, respectively, that I found on two other blogs I used to keep up. This entry in particular is great because it talks about the first time I made Thanksgiving dinner. The Thanksgiving that an entire tray of paint fell on our carpet 30 minutes before the crowd showed up. And then a little girl walked dog poo through the same carpet shortly thereafter. That said, the group was great and the food was delicious. Update again: pizza idea did not go over well with my family. Back to turkey! This week, among other things, I’m thankful for my other WandAS bloggers. You’re all such unique cooks and some of the new staple meals in my house are recipes that you all have put up. And to all our readers out there, I’m thankful that you’ve made it fun for me to try new food for my posts on Mondays. Thanks for reading, and I hope you all have a great Thanksgiving with your family and friends. If you manage to convert them from Pumpkin Pie to Pumpkin Crunch Cake, I want to hear about it! From the Cake Mix Doctor, of course. Place a rack in the center of the oven and preheat the oven to 350 degrees F. Lightly grease a 13- by 9-inch baking pan with solid vegetable shortening, then dust with flour. Shake out the excess flour. Set the pan aside. For the filling, place the pumpkin, evaporated milk, 1 cup sugar, remaining 3 eggs, and cinnamon in the same large mixing bowl used to prepare the batter and with the same beaters (no need to clean either), blend on low speed until combined, 30 seconds. Increase the mixer speed to medium and beat until the mixture lightens in color and texture, 1 to 2 minutes more. Pour the filling over the crust in the pan, spreading to the sides of the pan with a rubber spatula. Set the pan aside. Bake the cake until the center no longer jiggles when you shake the pan and the pecans on top have browned, 70 to 75 minutes. Remove the pan from the oven and let cool slightly on a wire rack, 20 minutes. Prepare two recipes of the Sweetened Cream. 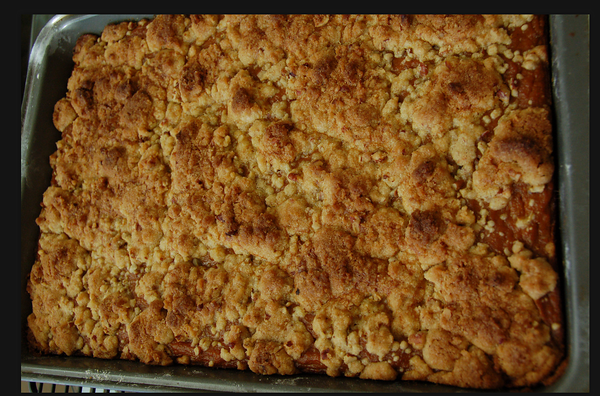 Slice the cake into squares and pass the Sweetened Cream to spoon on top. * Store this cake without the Sweetened Cream on it, covered in aluminum foil or plastic wrap, in the refrigerator for up to 1 week. From the Cake Mix Doctor * Store this cake without the Sweetened Cream on it, covered in aluminum foil or plastic wrap, in the refrigerator for up to 1 week. This entry was posted in 5 Wine Glasses, Dessert and tagged pumpkin. Bookmark the permalink. 5 Responses to You’ll Never Eat Pumpkin Pie Again! chicken stock, whipped cream, what next? Love this! And I’m betting I could be converted, too. Makes me so sad reading this… ugh I can’t (kinda) imagine what that is like. So sorry, which I know isn’t what your looking for, but you are in my prayers during this time. I’m especially thankful for another year with my mom! She just finished her last round of chemo for this go around… hoping we get a lengthy break! Totally trying this for our family…. we LOVE cake and I have two teenagers who are into making new kinds of cake! I will let you know how it goes over! I have similar (and would you believe, even easier?) 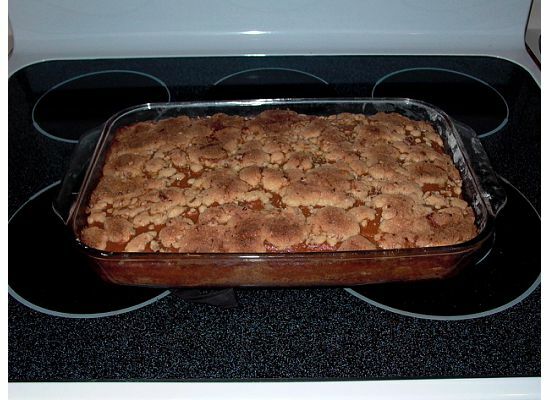 recipe to this called “Pumpkin Crisp” which is also best served with home made whipped cream, and I am also a convert. Blessings to all of you this holiday season. May we all hold tight to the ones who matter most, and to the memories of those we’ve loved and lost. Amanda, I’m trying this will let you know how the family likes it. Thinking about you during the holiday season. I know it is hard, I’m always here for you and the guys. Luv U.